Salmon – You have to make sure that the salmon you choose is wild salmon if you want to reap the blood pressure benefits from it. The omega-3s it contains helps improve circulation and blood pressure. It is recommended to add this to your menu a few times a week, and you will also be helping to ward off heart attacks and even cancer. This may be difficult to get so frequently, it may be better you can get it in tablet form as part of the package here. Potatoes are high in both potassium and magnesium, two minerals that can help to lower your blood pressure. They are also high in fiber, which is necessary for an overall healthy diet. Enjoy a baked potato as the centerpiece of your dinner. Bananas are a great way to add potassium to your diet. Potassium helps to combat sodium and reduces your blood pressure as a result. Adding foods that are rich in this mineral to your diet is better and easy. Green Beans – Green beans have a direct on your blood pressure, creating favorable conditions for healthy levels. They do this by helping your body in at least 3 different aspects, due to the Vitamin C content they contain, their fiber content, and also potassium, which has perhaps the most direct effect. You simply can’t go wrong by adding green beans to your plate, just be sure not to smother them in butter. Consider adding slivered almonds to make them even healthier. Eat more peas please! They can help you stave off high blood pressure due to the vegetable protein they contain, as well as other vitamins and folic acid for overall cardiovascular support to your system. 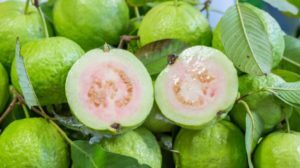 If you want to mimic the results of a clinical study performed in India you should aim to eat guava before your lunch or dinner. It might be hard for you to get guava in your part of the world, but it’s worth seeking out. 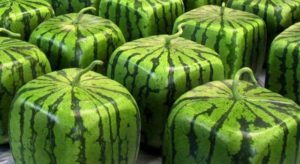 Watermelon is good for blood pressure and coincidentally it is a fruit that most people don’t mind getting more of, especially when they find out just how good it is for them. In the case of the rise and fall of blood pressure, it helps because of all the L-citrulline it contains. Carrots can be great for blood pressure but it can be hard crunching up enough carrots to make a difference to your blood pressure, which is why it’s a good idea to drink them instead. The Vitamin C in oranges acts as an antioxidant, and in addition to helping you fight off colds by strengthening your immune system, it can help to lower your blood pressure. I hope you enjoyed this article. Like or share it with others.